If you are looking for a trusted dealer for the purchase or maintenance of a Volvo vehicle, come to Volvo Laval today. Since we opened our doors, we have always had a specific goal in mind: to satisfy all our customers and surpass their expectations through our excellent service and quality of work. If you're looking for a new Volvo or want the very best in maintenance services, you'll find it at Volvo Laval. Volvo Laval is a team that is passionate about customer service and Volvo vehicles. We want to share this passion with you from the moment you walk in. 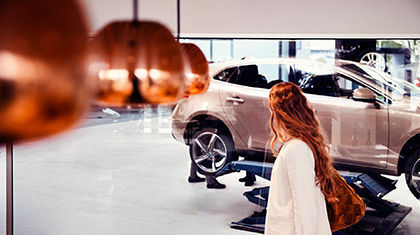 At Volvo Laval, you will find a dealership that is truly looking forward to helping you find the right car or service. When you come to Volvo Laval, you will be amazed at the number of new and pre-owned Volvo vehicles we have to offer. Whatever your needs, we can help you at Volvo Laval. You will find the Volvo model that meets your needs and fulfills all your expectations. Come meet us today or book your test drive online. We have all new Volvo vehicles in stock at Volvo Laval. The Volvo range has been redesigned in the last few years and you will find the new Volvo XC40, XC60, and XC90 SUVs as well as the Volvo S60 and S90 sedans. We also have a large selection of Volvo V60 and V90 wagons. And if you prefer a certified pre-owned Volvo vehicle, you'll find it at Volvo Laval. We have a large selection of models to offer that are affordable, reliable, and safe. Thoroughly inspected, our certified pre-owned Volvo vehicles offer everything you could want from a pre-owned vehicle. 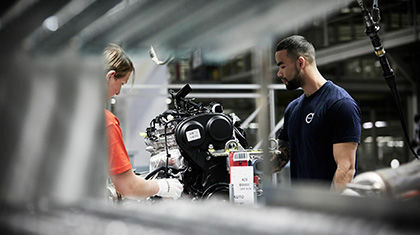 If you own a Volvo vehicle and are looking for a dealer you can trust to maintain your vehicle, visit Volvo Laval today. We have all the services under one roof that will ensure the reliability and resale value of your vehicle. Contact us today to learn more about our Volvo products and services. Contact us today by phone or book an appointment in any of our departments through our website. See what others are saying about customer service and overall experience. 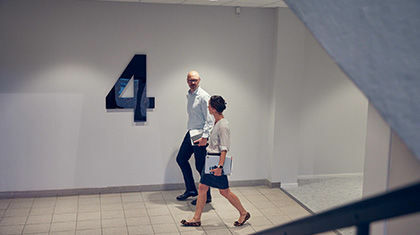 Meet the people who help make Volvo Laval so great. Be part of the Volvo team!